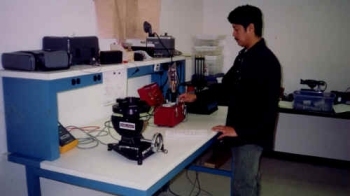 Gyro instruments are tested statically and dynamically on lab test fixtures to simulate borehole conditions. 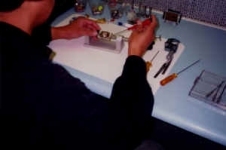 Electronics Laboratory Production: New assemblies field equipment Q.C. 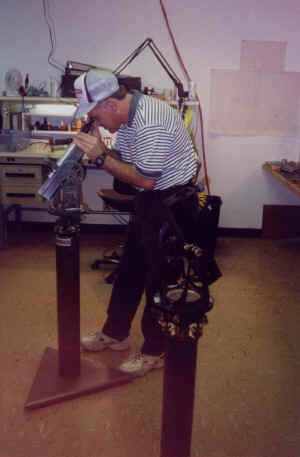 A solid concrete floor holds precision calibration test stands to check instrument alignment for bore hole inclination and azimuth.